Breaking News! – 2nd Edition of The Quick Guide Available Within Days! An update by Richard James Rogers (Author of The Quick Guide to Classroom Management). An article by Richard James Rogers (Author of The Quick Guide to Classroom Management). Before I give my general tips on how to reduce your workload as a teacher, please remember that if you are facing extreme pressure from work (e.g. unrealistic deadlines), then you MUST tell your line-manager. If nothing gets done about it, and you’re facing long-term unsustainable pressure, then simply leave: life is too precious to be bullied around by people who want to crack the whip but don’t realize that you are a human and you need down-time. But we don’t need the experts to tell us that peer and self-assessment are both really cool. Experience shows teachers that both techniques are simply a very efficient way to get our marking done, whilst reinforcing the concepts tested in the assignment being marked. I know that some people will say “but what if the students cheat?” – that’s why we reserve teacher-driven marking for big final-assessments and tests, and coursework. Besides, in my experience, when self and peer-assessment are done properly, it’s actually very hard for the kids to cheat. Make sure you have an official mark-scheme/set of answers ready for those kids to use. I would advise against projecting the answers on the whiteboard and going through each question one-at-a-time: that just takes ages, and kids always have disputes and questions. Print the mark scheme or distribute it electronically. Sit at your desk, or at an accessible point in the classroom, and let the students come and see you if they have a doubt about how many marks to award to a question, or what the correct answer is. Don’t walk around the classroom and help the kids – it’ll drive you crazy and is very inefficient. Always insist that the students write the final mark/percentage at the top/front of the assignment – this will make your data-entry easy. Also, make sure you collect the work in after the peer/self-assessment and just have a quick glance though it – perhaps focusing on those questions where common misconceptions are likely to crop-up. This has the added benefit of deterring student-cheating: the kids know you have collected in the work after they have marked it. Live marking is a brilliant and simple technique that I picked up far too late in my teaching career. It would have saved me many a late-night had I have conceived of it earlier. This a simple idea that can (must?) be used right the way up to Year 13/Grade 12. Set homework on the same day each week. Collect homework on the same day each week. Plan your marking around this schedule. My PGCE year was like a year of absolute hell. I thought I was ready to be a teacher before I embarked on the year-long course. I wasn’t. I was kicked into shape, lesson-by-lesson, with merciless feedback from every lesson observation along the way (i.e. every lesson I taught). One day it got so bad that I wanted to walk out. I didn’t, thankfully, and fourteen years later I’m still doing the job that I believe I was put on this planet to do: to help young people as best as I can. I need to be a little merciless in this blog post. I need to tell you the unadulterated truth: not a fairy tale of what should make you better at your job, but the real stuff that actually matters. The stuff that changes everything. These 5 tips are simple to do, but not easy to do. They take effort and will make you squirm at first. But they will work. They will change everything: guaranteed. I like to set my alarm clock to go off at 5 am. This gives me 2 hours before I have to leave for school. I must admit, it’s not always easy, but it’s always worth it. I set my alarms to ring so that I have to get out of bed to switch them off. I used to put them across the room, but now I put them in another room altogether. When those alarms go off there are days when I feel like a total zombie – that’s the only adjective that accurately describes how I feel. My face is puffed up, my head hurts and my muscles ache. I can’t even walk properly. But stumble, I do, to my dining table, where I sometimes sit in a daze for fifteen minutes or so. I will not climb back into bed – I’ve done that too many times in the past and paid for it severely. You see, I used to be the ‘snoozer loser’ – the guy who kept pressing snooze multiple times because he was so exhausted. It made me wake up late, rush a shower, skip breakfast, arrive at school late and start my day in a big mood. My body wasn’t physiologically ready for a day at school when I was a snoozer. My nervous system wasn’t ready. My head wasn’t ready. Then, one night, there was a big thunderstorm in Bangkok. It was so loud and magnificent that I watched it on my balcony in amazement. When I tried to sleep that night I simply couldn’t. It was too loud. I decided ‘Forget it, I’ll just stay up’. Bored and frustrated, I decided to pass the time in the early hours of that morning by ironing my clothes, reading through and modifying my lesson plans for the day and writing a list of tasks/goals for the rest of the week. I had some breakfast too. That was an amazing morning because, despite my lack of sleep, I was more ready for my day ahead than any other day prior to that in my career. I knew exactly what my kids would be learning. I knew exactly what I had to do that day. I had time to prepare resources. Hell, I even had resources uploaded to the VLE in advance of the lessons for that day. Since that fateful night I’ve snoozed once or twice, but that’s it. I’ve been up early and ready for the day ahead on almost every occasion since. If you only take one tip from this blog post today, then take this one: when you’re up early and fresh you’ll be more prepared for the school day than the overwhelming majority of your colleagues. Your students will notice the difference immediately. Note: It’s worth getting intimate with your sleep-cycles/circadian rhythms. The experts say that adults should get between 6 and 8 hours of sleep per night, but this varies from individual to individual. I know, for example, that if I only get 6 hours of sleep for several nights in a row then I won’t be able to function properly by day 3. I know that my body must have 8 hours of sleep per night, so I make sure I’m in bed early enough to get that. I told you these tips weren’t easy. But this one is definitely simple, for sure. The strange thing about exercise is that it defies logic in it’s effects. When I wake up feeling like a zombie, for example, one would think that a 20-minute run around the streets would be a stupid idea – I’ll just be using tons of energy when I’m already exhausted. It doesn’t work like that, however. After that 20 minute run/jog/walk (yes, sometimes I need to walk-out the last km or so), I feel fresher than ever. A cold shower afterwards really serves to electrify my nervous system too. Things went to the next level when I joined a gym, however. I currently train at Fitness First, here in Thailand, around 4-5 times a week. It’s expensive, I’ll admit, but I found that to be a good motivator: “I’ve paid so much for this damn gym membership that I’ll have to go, otherwise it’ll be a total waste of money”. As my body has become stronger, faster, leaner and more flexible over the years I have found that the same effects have happened to my mental faculties: I can think faster, clearer and stronger. I can recall information more quickly than when I was the lazy-NQT who never went to the gym. I hate to tell you the bold truth, but if your body is out of shape then you’re going to get ill more often than if you were in-shape. Your mind is also not going to function as effectively, which will definitely have an impact on your teaching. The photograph shows me at the gym today. I like to do a mix of boxing, cardio and weight training. Teaching techniques (such as differentiation and quick starters) are important, but they lose their effectiveness if a good rapport/connection is not present between you and your students. Your kids have to like working with you, and they have to enjoy the subject, in order for you to be an effective teacher. Parents are our allies, not our enemies (most of the time). I’ve recently seen the massive power that working with parents can have on my students. I run a CREST Award ECA after school every week, and one of my students is now on her Gold Award. A big problem, however, is that she needed a university mentor to help her with her biochemistry project. In a chance conversation with a parent at our school’s coffee shop, I discovered that another CREST Award student in Year 7 was getting access to lab time on weekends at a local university. I found out that his mum had a professional relationship with a team of scientists here in Thailand. And all of that from just one parent! The gratitude for her help goes through the roof for this. It sounds easy and I apologize if it’s a little patronizing, but not every teacher plans their lessons in-advance. This is especially the case for the ‘snoozer losers’, of which I was once an active member. Please see my video and blog post about efficient lesson planning for more in-depth tips. Follow the advice in this blog post for immediate results. It’s not easy, but it is simple. Thinking back to the pre-smartphone age in which I completed my studies at high school, I often wonder: did school achieve its purpose in my life? The purpose of high school, I believe, is to prepare students for a meaningful life in the 21st century; to be a good citizen, economically self-sufficient and respectful of themselves and others. Most of what our students need to know hasn’t been discovered or invented yet. ‘Learning how to learn’ used to be an optional extra in education; today, it’s a survival skill. My role, as teacher, is to evaluate the effect I have on my students. A variety of interesting thoughts, but are there some common themes in these quotes? Using these conclusions as a solid foundation, I’ve drawn up my list of the five most important things that we should be teaching our kids at school (but most of us, through rigid curriculum expectations, cannot). From credit card debt to budgeting and student loans: personal finance should be a thorough and comprehensive part of every high school curriculum. High school Business Studies and Economics courses haven’t caught up with the current trend in cryptocurrencies (such as Bitcoin and OMG), Distributed Ledger Technologies (such as Blockchain) and electronic forms of payment such as AliPay, WeChat Pay, Impesa and True Money Wallet (to name but a few). The way that people use and perceive money is changing rapidly and in order for kids to be prepared for the ‘real world’ I believe they should be taught about these various technologies. I’m currently studying for a Professional Certificate in FinTech through edX (with the University of Hong Hong) and I can tell you – it’s fascinating! When I learn something new from the course I pass it on to my students in my Money Management ECA, which I run after school once a week. Kids need to be taught about the power of social media – when used to promote products and services. By showing kids the benefits of digital marketing, we make them realize that compulsive selfies or photos of their dinner serve no purpose for their career in the long-term, and can be a real waste-of-time. Schools should aspire to turn their students into independent learners and critical thinkers, and should, therefore, prepare students for the possibility of entrepreneurship one day. Digital Marketing is now an essential component of any company’s advertising strategy, and our students need to learn the power that social media can have in building a business’s platform. The importance of managing one’s reputation (especially one’s online reputation) has never been more important. One inappropriate photo uploaded onto social media, or one public outburst recorded on someone’s smartphone, and everything you have worked for can literally be destroyed in an instant. It’s not a nice thing to admit that we now live in a somewhat dystopian ‘Big Brother’ society; but it is the truth. Our students need to know the realities of this, and see it as an opportunity (not a disadvantage) – they can just as easily build up a good online reputation as a bad one. As technologies rapidly develop, it’s now become impossible for schools to teach absolutely everything a child needs to succeed in the workplace or business arena. Whilst schools must keep up with the times by upgrading curricula on a yearly basis (in my opinion), they must also give students the opportunity to work on projects in which they have to solve problems. Theme days, group-work, camps and special programs like CREST Award are great ways to take students out of their ‘comfort zones’ and challenge their capacity to think laterally and quickly. Just as salaried employees and business owners need to skill-up on a regular basis, schools should upgrade the skills portfolio that they are providing for their students in real-time. New developments in fields such as STEM, Business, ICT and Economics needs to be filtered down to the classroom level quickly, so that students receive relevant training in adaptability and problem-solving. So what can we do to help our exam-level students achieve success? All exam boards have ‘specifications’, ‘syllabuses’ or ‘Course Guides’. These are usually documents aimed at helping teachers deliver the course correctly, but there’s no reason why students can’t have these documents too. Many syllabuses contain unnecessary information for students (e.g. objectives of the course and key objectives). Extract the course content from the syllabus and turn it into a ‘kid-friendly’ revision list for the students to follow when revising. Many students require years of experience to discover their preferred (and most efficient) style of revision. For me, I found that dictating my notes to myself and playing them through my earphones when I lay in bed at night was effective, but this might not work for everyone. Students really need a ‘menu’ of techniques to try out, but how often do schools actually provide this menu? How often is new technology taken into account? How often are students invited to share their best revision techniques with their peers? Hold a ‘committee meeting’ style gathering with your exam-level students. Sit them together in groups to share their ideas with each other about how to revise for tests and exams. Swap the groups around 3 or 4 times during the session, and get the students to write their techniques on the whiteboard at the end (or contribute to a Google doc). Share what has worked for you personally when revising. Ask your colleagues to come to class and share their experiences. Get parents involved. Make it a community thing – if the ‘group mentality’ is directed towards exam success, then this will definitely rub-off on the kids. There’s lots of great advice out there about how to revise, but we must be pro-active in sharing this advice with our students. For the interest of educators the BBC has also produced an excellent report in which revision techniques are ranked by effectiveness (well worth a read). When students know what to revise and how to revise, they often think that they now have every tool in their toolbox and are ‘ready for action’. This is a delusion. Procrastination: when students are revising from home during holidays or study-leave time, it can be very tempting for them to watch online videos or play computer games more frequently than they should be. 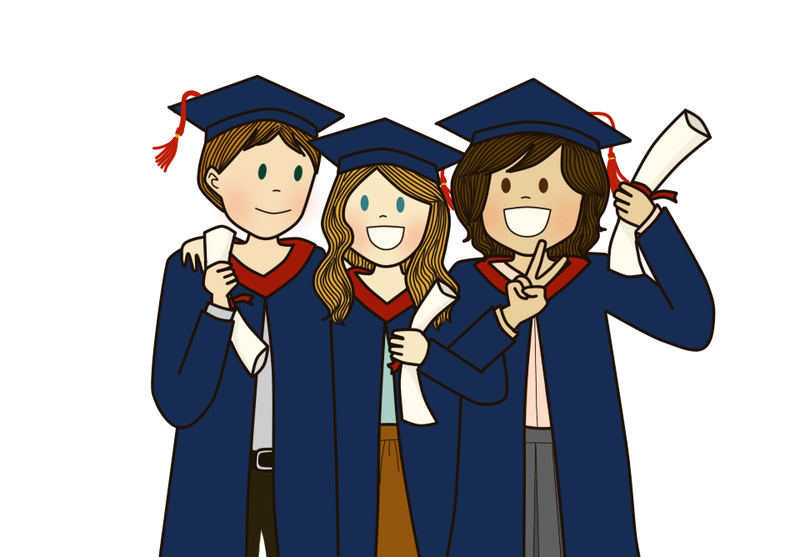 For some students it’s better for them to get out of the house and go somewhere public (e.g. the school library) where they can’t take a nap and can’t get distracted as easily as they would at home. Relationships and hormones: the ugly truth of this one needs to be revealed. Teenage sweethearts/lovers can lead to massive distraction on the run-up to exams. This is a delicate issue to deal with as a teacher, but I personally think it’s important to talk with individuals who are in teenage relationships and politely remind them that they have to be focused on their exams at this time, and not on each other so much. I’ll leave it there. Sleep: It’s a balancing act. Students need enough sleep, but not too much. During school holidays and study-leave, many students fall into the habit of waking up late and messing up their sleeping cycles/circadian rhythms. This can lead to low productivity. I always teach my students the ‘Up Early and Out’ rule: get up early and go out to somewhere where you physically can’t nap during the day. The school library, a local library or even a coffee shop can be good options. Bad habits can destroy our students’ chances when revising for exams. We must tell them the negative behaviors to avoid, along with the positive actions to implement. 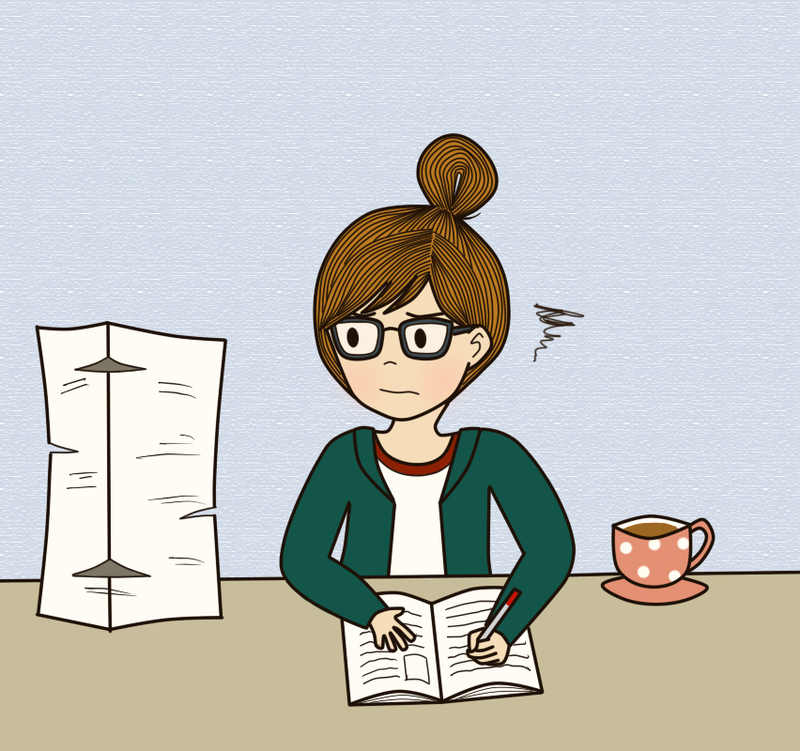 Even the very best students: those that know how to revise, what to revise and what habits to avoid, can get completely messed up by not being organized. Organization is the key to exam success. Students should be starting their revision well in advance of their final exams (around 5 months works best). They should be sub-dividing their days into sessions, with each session focussing on a specific topic area. Practice questions, exam-style questions and lots of past-paper practice for each subject they are taking. A lot of exam boards (but not all) provide their past-papers for free (e.g. BMAT and Edexcel). Share the URLs with your students, or share the papers via a VLE. Crucially: encourage your students to complete past-papers under timed conditions. Four example, if paper 1 mathematics is 1 hour long, then make sure your students know that they should time themselves for one hour when doing the past-paper at home for revision. Consider the ‘Multiple Mock Exam (MME)’ rule too: why just have one mock exam? For my IBDP Chemistry students, for example, mock number 2 (in class) has traditionally happened in February. Mock number 3 in March. Finals in April/May. MME can really help students to get used to the rigour of the exams, as well as the command terms language and time-constraints. What is ‘Question Level Analysis’? Dr. Curry was a friendly, but direct, man. On one sunny afternoon in the newly-built science labs at St. Richard Gwyn RC High School, Flint, he called me to the back of the class to discuss my progress in the subject. This was a strategy that was being implemented school-wide, with every ‘A2’ – Level student (we were in our final year of high school). I hope I won’t waffle too much in this blog post. This quote often comes up in my thoughts as I go about my day as a teacher. I think about the thousands of lessons I was taught as a kid in primary and secondary school. In terms of content, I think I can remember upwards of 70% (as proven by my exam scores over the years). In terms of impressions and actually thinking back to a specific lesson and ‘remembering’ what happened: that’s got to be less than 1%. Dr Curry’s analysis got me thinking about myself, and how I had evolved as a student over the years. It was a good tip, and it helped, but is there a way to make a one-to-one meeting like this even more specific (and is it beneficial)? Whole-class feedback can be powerful, especially when there are obvious patterns of weakness showing-up. This is where an early-technique of mine can be really helpful: analyzing the command terms in different tests and assessments. If we look at the table above, for example, we can see that the different tests contain different numbers of command terms. Let’s say that I have a student: ‘Student A’, and Student A does okay in test 1 in November; as expected in the December test, but slumps in the January test. What does a teacher do in that situation and why has this happened? As we can see from the frequency analysis above, it may not be the case that Student A simply didn’t revise enough (a common misconception that teachers have). We see that the January test required many more explanations and calculations that any of Student A’s previous tests, and her poor score could just be because she hasn’t had enough practice in completing these kinds of questions. Armed with this kind of data, teachers can have very meaningful and powerful one-to-one conversations with students: highlighting specific areas of weakness and providing guidance on how to best tackle specific command terms. This process can be a little tedious, however, and focuses only on skills (not content). So……..is there a way to make this process better? Thankfully, the answer is yes! : it’s called Question Level Analysis or QLA. Taking the command terms frequency analysis to the next level (which is a great ‘whole-class snapshot tool’) we can now get the students to analyse their own responses to specific questions and then think carefully about how to fix any problems they’ve had (creating memory in the process). Share an editable spreadsheet with all of your students (such as a Google Sheet®). Make sure the command terms are filled in for each column heading. 4. Pair the students up (or group them) according to weakness-matching. For example, student B can help student G with the calculations questions, and student G can help student B with the ‘describe’ questions. 5. Once the kids are paired up, give them the chance to explain to each other how to answer the specific questions that they scored poorly on. Ideally, this should be done before any mark-scheme or model answer sheet is given to the students, as this will cause deep-thinking to take place, which should result in secure memory of the concepts being learned in the process. 6. Once the process has finished, feel free to give the mark-schemes to the students: they’ll need them when doing their own revision before the final exams. Sometimes students make messy notes when they are peer-teaching each other like this, so be sure to tell them to keep their corrections tidy and clear as they’ll need to refer to them as part of their revision at some point in the future. I’ve been fortunate enough to use QLA successfully in my teaching over the years, and I saw it in action at Harrow International School at a CPD course I went on last weekend. I can tell you firmly and confidently: it works! Technology is supposed to be helpful, but sometimes it makes me mad. When I can’t change the text color on a blog post because the iPad doesn’t support it, or when my PC auto-updates when all I want to do is switch it off, I find myself losing faith in the power of technology. A bright light of hope was shone my way these past two days, however, when I attended an excellent Science JAWs (Job-alike Workshop) event at Harrow International School, Bangkok. I had the chance to rigorously test out the apps I’m about to show you and, I can tell you: they really do make life easier (and they can do some cool things too!). So here’s my list of what I believe to be the most useful apps I tested during this event. I’ll definitely be using them with my students and in my teaching. Enjoy! Cool Feature #1: You create a slideshow on Nearpod. Your kids login with a code that Nearpod generates (they don’t need to sign up, which saves tons of time) and, boom! : the slideshow will play on every student’s device. When the teacher changes a slide, then the slide will change on the kids’ screens. You can choose to show the slideshow on a front projector screen/smartboard, or simply walk around the class with your iPad or laptop as you’re instructing the kids. Cool feature #2: Put polls, questions, quizzes, drawing tasks, videos, 3D objects, web links and audio segments into Nearpod presentations to make the experience fully ‘interactive’. As you can see, other kids can click ‘like’ and can comment on the responses, making this an ultra-modern, ‘social-media’ style education tool. Another feature I loved was ‘Draw it’. It’s similar to ‘collaborate’ (the feature above with the sticky-note answers), but this time the students either draw a picture or annotate a drawing you have shared. I can see this being great for scientific diagrams and mathematical operations. Students can use a stylus/Apple Pencil, their finger (if it’s a non-stylus tablet or phone they are using) or even a mouse to draw the picture. 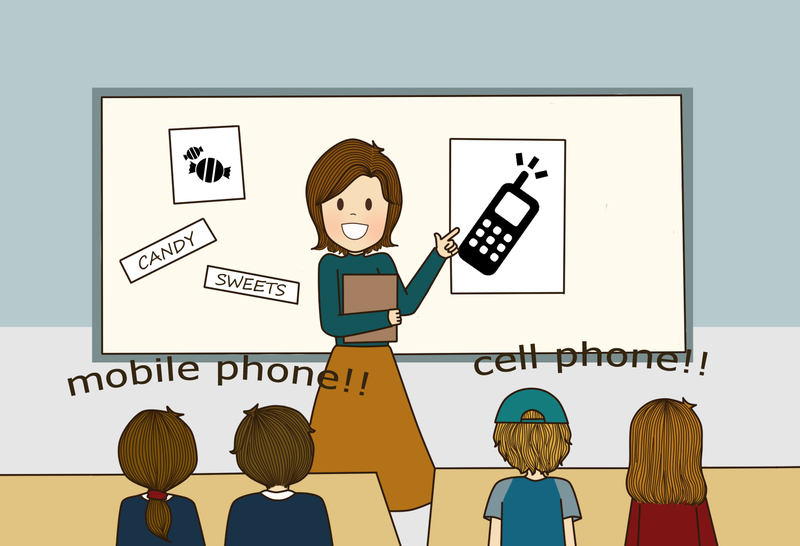 Once drawn, the pictures will show up on the teacher’s screen together, and this can be projected if the teacher wishes. Cool feature 3: Virtual reality is embedded into Nearpod (and I need to learn a lot more about it!). I don’t understand it fully yet, but Nearpod themselves say that over 450 ready-to-run VR lessons are ready on their platform, including college tours, mindfulness and meditation lessons and even tours of ancient China! I like apps that are quick, useful and free/cheap to use. Nearpod ticks all of those boxes. Kids log in with a code and your presentation appears on their screens. When you change a slide, the slide changes on their devices! You can put polls, drawing tasks and questions into your slides and it’s all fully interactive. Kids’ answers will appear on the projector screen for all to see (if you wish), or simply on the teacher’s screen (for private viewing). I love this app and I look forward to using all of its features with my students. As you can see, you can select a wide variety of colors and make beautiful notes, Mind-Maps, concept-maps, flow charts, diagrams and more. Cool feature #2: Noteability allows you to annotate PDFs with the Apple Pencil. This is absolutely brilliant and has allowed me to annotate my IB Diploma Chemistry coursework (Internal Assessment) quickly and clearly before uploading the coursework to the IBIS system. 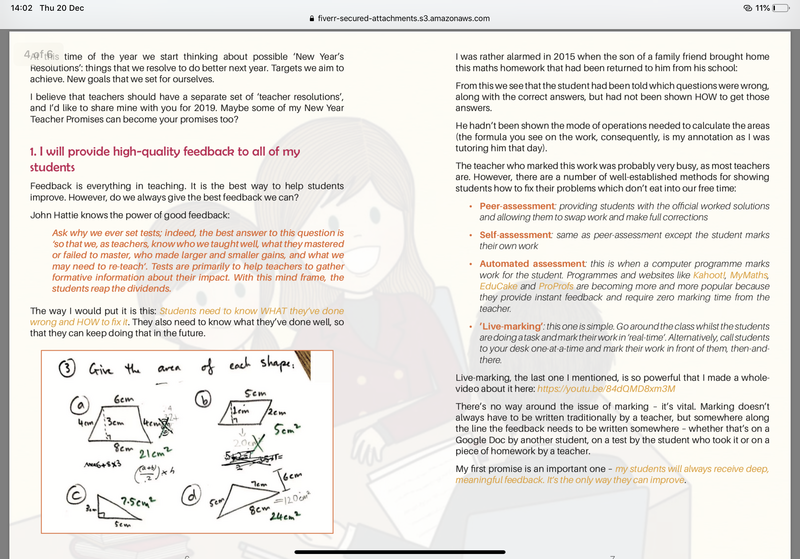 I can see this feature becoming really useful for schools that want to save paper and for teachers that want to annotate coursework, homework or classwork and then send it back to the student in some way (e.g. by e-mail, through Google Drive or through Google Classroom). There is the possibility that tablets may even replace traditional school notebooks in future too – removing the need for 11-year-old kids to carry really heavy bags around school all day (and this has already been linked to back problems). I mentioned this a few blog posts ago but I feel it’s worth a second shout-out. I like this app because it has basically replaced all of my notebooks, and is an excellent planning, note-taking and annotation tool. A big drawback of Noteability, at the time of writing, is that it is only compatible with iOS. 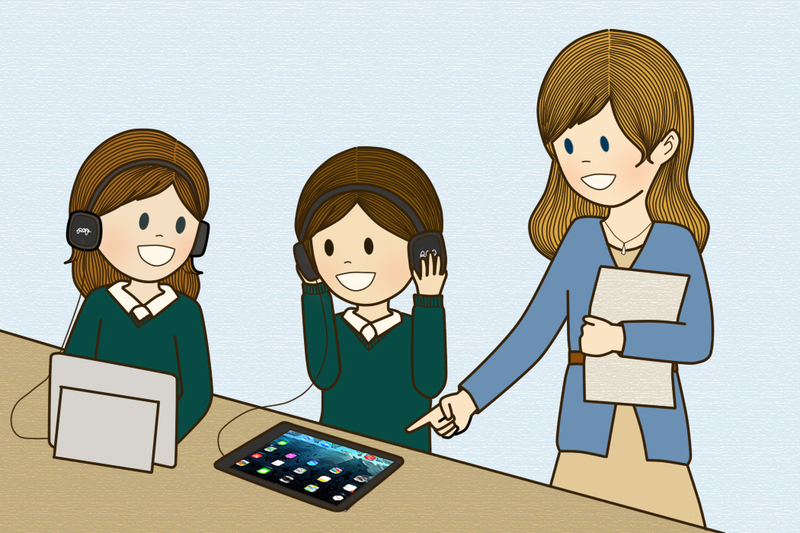 Not all students use Apple devices, and schools won’t always fork-out money for them. However, I have found that my own personal investment in an iPad Pro, along with Noteability, has enchanced my life in many ways and has benefited some of my students as I have been able to annotate their work better than ever before. Cool features: Flipgrid is a secure video-commenting/video-conferencing platform. Flipgrid’s mission is to “Empower student voice” and they’ve certainly achieved that with this app. Basically, the teacher uploads a video of himself/herself asking a question, or posts a question, link, resource or video, and the students respond by taking videos of themselves responding to the material. 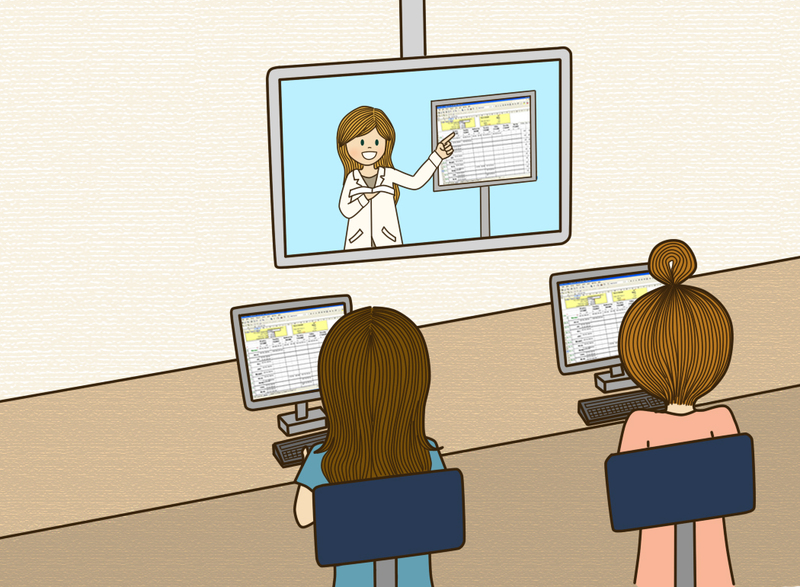 Once the students have uploaded their videos of themselves, other students can see them and watch them (and comment on them). They can even respond to videos with videos, so it really can get a discussion flowing! 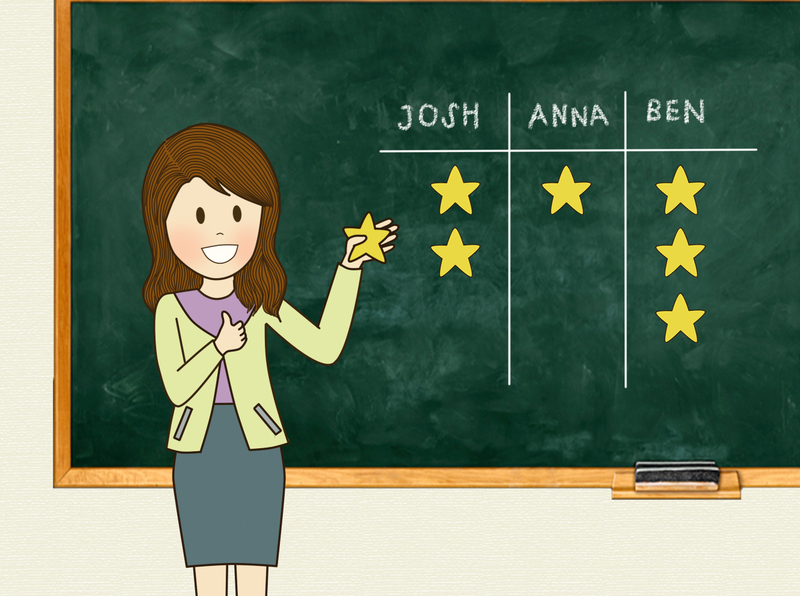 Each video a student creates will receive feedback from other students and the class teacher, and the student who made the video can quickly see the feedback they’ve received. I would recommend all tech-interested educators to check out Jess Bell’s guest blog post over at larryferlazzo.edublogs.org entitled ‘Getting Started with Flipgrid’. When I tested it this weekend at the conference it took me a while to figure out how to use it, and what its purpose was. Once I’d signed up, however, the website directed me to lots of great help and resources. There’s a load of pre-made lessons and students can sign in with a simple pre-generated code (like Kahoot! and Nearpod) which saves tons of time. As you can see: it has a very user-friendly interface. EdTech is here, everyone, whether we like it or not. I’m a big believer in using things that work: things that help. I don’t believe that technology can (or should) replace everything a teacher does traditionally (such as having a one-on-one conversation with a student), but I do believe that these apps I have mentioned have tremendous potential and should be capitalised on fully. As always, please do be aware of how screen-time affects our students’ health (I wrote a blog-post about this here: Digital Disaster: Screen Time is Destroying Childrens’ Health). I wouldn’t advise that screens be used all lesson, every lesson, but we should use these apps at appropriate times to reinforce, teach and revise key concepts. I remember when the first iPad came out. As a chunky, cumbersome device that seemed to defy the goals of most other devices (maximizing, rather than minimising space), it lent itself mercilessly to all manner of jokes – many centered around sanitary towels. In an educational context, however, school leaders and teachers were quick to see the benefits that tablets could bring to the classroom. They had large screens, longer battery life than smartphones and seemed more robust than laptops. I’ve just purchased the latest generation of iPad – the iPad Pro 2018. It’s a beautiful device and I’m finding that it is helping me with a number of things in my job as a teacher. I’d like to share my findings with you. In the past I would bring student notebooks, data printed on paper and my own thoughts and suggestions to parents’ evening. This was inefficient, and involved quite a lot of heavy-carrying. I scan student work to my iPad using the CamScanner app (this is an app were you basically take a photograph and the iPad scans the photo like a document). I can then show the parents the student work on my iPad screen – I can even zoom in to show specific details. Some notes I made with a parent at a recent parents’ evening. As you can see, I’m still getting used to writing with the Apple Pencil. Probably the biggest way that the IPad Pro has helped me with my job is by allowing me to quickly annotate student work with the Apple Pencil, and then save that work as a pdf. I must admit that I am already amazed at the amount of printing and hassle that VLEs like Google Classroom have saved me. However, I see the ‘paperless’ classroom going a step further with tablets that have sketch capabilities, such as the iPad Pro. Students will be able to use these devices to annotate each other’s work (peer assessment) and annotate their own (self-assessment). The need for printing may be removed altogether, which saves trees and cuts costs. Ah yes, no good blog post about tablets would be complete without a list of favorite apps. Please allow me a moment on this. Along with the advantages of using tablets that I’ve already mentioned, including the capability of students to annotate each other’s work, a number of great learning apps exist that can really take student achievement to the next level. One of my favorites is the Gojimo app. Gojimo contains question banks from a wide-variety of subjects and exam-boards (including IGCSE and A-Levels). It includes loads of multiple choice questions with model answers when kids get the questions wrong. There’s even a live-chat feature that students can use when they’re stuck. I like using Gojimo on my iPad during private-tutoring/mentoring sessions. It’s a good way to get students focused and provides lots of source material for revision. I like this app because it has basically replaced all of my notebooks, and my wife is very happy about that! Tablets have the power to really take over many aspects of teaching, and this can save teachers and students time, energy, hassle and paper! I’ve only scratched the surface of what tablets can do in this short blog post (I haven’t talked about movie making with iMovie for example). I’m glad I purchased my iPad Pro. It cannot replace all of the features of a laptop, but there are lots of cool things it can do! This week’s blog post is going to be rather concise and direct, so that I can publish it with adequate quality in the one-hour ‘window’ that I have. It’s been an incredibly busy week for me. After completing my online IBDP Chemistry Category 2 course on Wednesday, it was straight on to discussions with Catherine (my book editor – she’s amazing!) on The Rogers’ Pedagogical Planner. Maybe you are even reading this article in the planner right now? If you are, then thank you for your purchase and I really hope this planner has been useful for you! For web-users, please read this exciting update here. This planner promises to be more advanced and more useful than any other teacher’s planner out there and leads me nicely on to my first promise for 2019…….. I could have easily took a short trip to Pattaya, just up the road from Bangkok (where I currently work as a high school science teacher), and took the remaining two weeks of my holiday off. Sunny beaches and the tastiest food the world can offer awaits me there. As I’m sure you can imagine, I’m not very popular in some circles of education. I do not subscribe to the idea that a teacher’s holiday should be completely holiday time (now, please remember, I did say completely). When I go to school every day I like my lessons to run like well-oiled machines: everything ready; everything in place. This saves me many a headache, and all it takes is a little bit of work in the holidays. Keeping the fact that, as a teacher, I’m a role-model to all of my students, in mind at all times. Keeping this thought in mind will allow for correct decision making when it comes to everyday activities. How will you ‘push-beyond’ the natural tendency towards mediocrity that we are all plagued with, but very few ever acknowledge? Gossip is the death of all productive colleague-colleague relationships. I will avoid gossip like I would infectious diseases, and I’ll be sure not to contribute whenever (if ever) I hear gossip. If I can help, then I will help. If I can’t, then I won’t. I’ve been guilty of falling into the ‘favor’ trap all too often in my professional career. “Richard, can I ask you a favor?”, to which I would automatically reply with “yes”. Sometimes my mouth would commit me to things I couldn’t do, and I would end up letting people down (and getting stressed out along the way). Now, when someone asks me “Richard, can I ask a favor?”, I politely respond with “It depends what it is”. I then proceed to assess whether or not I can actually do what I have been asked to do. I’ve written before about how we can work productively with our colleagues, especially when dishing out ‘productive praise’ to our students (praise must be collective to be effective). Please read my article about that here. What are your promises for the New Year? I believe that we need ‘Professional Promises’ along with ‘Personal Promises’. If you could change anything about the way you teach or how you work at school, then what would go on your list? Wishing all of my readers, fans and followers a very Merry Christmas and a successful and happy New Year! Please note: the planning pages themselves will actually contain less boxes than shown in order to allow for more writing space. Watch this space for exciting updates!